Lynn was born in the City of Toronto, Ontario, Canada in 1946. When he was thirteen, his father purchased an amusement park in Pickering, Ontario, and named it Paulynn Park after Lynn and his brother, Paul. It was there, in Pickering, that the brothers grew up. Lynn married his high school sweetheart Marlene, and on November 28, 2014, they celebrated their fiftieth wedding anniversary. They are the proud parents of two married daughters, Renée and Karen, and equally proud grandparents of four. Lynn and Marlene have retired to Burlington, Ontario, where they live the condo life close to their kids and grandkids. The best-selling author of, ‘Inside Camp-X’, Lynn was a successful businessman for thirty-five years working for Johns-Manville Corporation. Among his achievements was the design and implementation of the first distributed, integrated computer system called CSS early in the nineteen-seventies, which was to become the basis for most on-line computer systems used in business today. Later, he was the Director of Business Logistics while working for a subsidiary company in Quebec, with a large project team under his supervision. Lynn has spoken to over one hundred thousand public and high school students in the past ten years, enlightening them to their rich historical heritage here in southern Ontario. He was a volunteer at the Camp-X museum in Oshawa and is Past Chair of the Scugog Shores Historical Museum, Past Vice-Chair and Director of the Kawartha Region Conservation Authority (KRCA), Director of the Military Heritage of Durham Region, Past council appointee of the Scugog Township Heritage Committee and Founding Director of the Camp-X Historical Society. 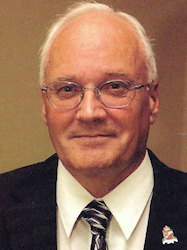 He was also an elected Municipal Councilor for Ward 3 in Scugog Township for seven years (2003 - 2010) and was Chair of the powerful Finance Committee and Works Committee. Lynn has appeared in many documentaries including the hour long documentary called 'Family Secrets' which appeared on Global Television across Canada and 'The True Intrepid' which has been shown many times on History Television. Since writing ‘Inside Camp-X’which has sold over 35,000 copies worldwidehe went on to co-author with Alan Longfield, ‘Camp-X The Final Battle’, ‘Camp-X Silver Dagger’, ‘Camp 30 Word of Honour’, ‘Camp-X Vengeance Weapon’, ‘Ajax Arsenal of Democracy’ and ‘Camp-X Mills of the Gods’. On the tenth anniversary of the publishing of Inside Camp-X, Lynn released the long-awaited sequel to his series titled, ‘Dispatches from Camp-X’. On December 8, 2011, Lynn had the distinct honour of speaking to several hundred members of Canada’s elite JTF2 at a top-secret location in Canada. 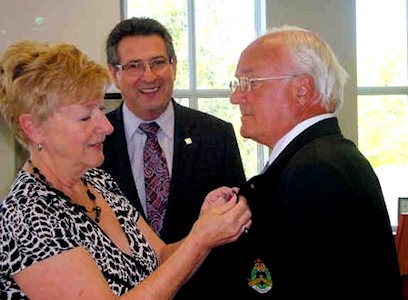 On February 20, 2013, Lynn was awarded the Queen’s Diamond Jubilee Medal for thirty-five years dedicated to preserving Canada’s history and heritage. He is also Canadian Associate Editor of ‘Eye Spy Magazine’; a magazine dealing with intelligence activities and read in thirty-nine countries. In 2014, Lynn was a Camp-X historical consultant working with the nine member writing team for the successful CBC series ‘X Company’, which is loosely based on the now famous WWII spy training camp in Canada. Most recently, the Region of Durham opened to the public, The Lynn Philip Hodgson Camp-X Collection. Lynn has succeeded in giving Canadians a realization of their wonderful heritage and history.